SAVE $3.00 on any OxiClean HD Laundry Detergent! These days, clothing can be real expensive. A pair of jeans can cost you more than $50! That’s why it’s important to keep your clothes in good condition. 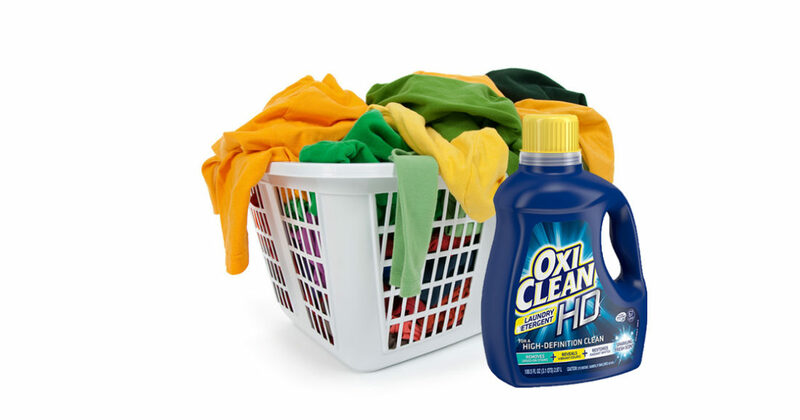 OxiClean HD helps keep your brights, whites, and other colors looking as crisp and fresh as the day you bought them. And it smells great too! With this coupon, save $3.00 on any one OxiClean HD Laundry Detergent. Expires 9/10/16. If you’ve never used OxiClean before, you don’t know what you’re missing. Not only can you use it to brighten your whites and colors and keep them from going dingy, OxiClean can also take out tough stains completely, like the ones that come from blood, coffee, grass, and wine. Not only is it perfume and dye free, it comes in a lovely fresh scent that will seriously have you considering giving up on fabric softener. OxiClean HD will help your clothes last longer, which is important for anyone trying to stretch their dollars. Expires 7/23/16.